Promo tables are portable, light weight tables that have a fabric covering around the front and sides. Our promo tables come with a bottom shelf and an optional extra, middle shelf. 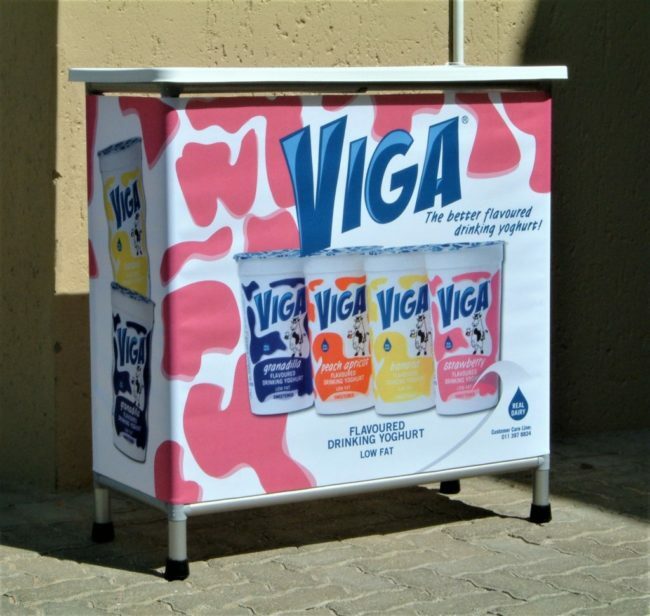 Promo tables are perfect for exhibitions, outdoor events and pop up branding and marketing activation’s.